The Stop Online Privacy Act has been making headlines lately. It is a bill in congress that is trying to stop online piracy. Stopping online piracy is a good thing. I don’t want my copyrighted material stolen. However, SOPA is written poorly and will punish entire sites for one users misconduct. It will destroy blogging. It is a complex bill. I recommend you go to Wikipedia and research it for yourself. In a nutshell, it will give the government power to shut down any US based web site that hosts or links to copyrighted content. It also gives the government power to block and foreign web site that hosts or links to copyrighted content. We complain about China and Iran’s Internet censorship. If this bill passes, the US will be worse. You may be thinking, I don’t host or link to pirated material. This will not affect me. Do you allow comments on your blog? If someone posts a link to copyrighted material in your comments section YOU are responsible. Say someone adds a link in their comment that goes to a video that has a song in it that is copyrighted. You will be required to not only remove that comment, but search all of your comments for additional links to the video hosting site's domain and remove them. To clarify, if ONE file on a site breaks copyright laws you are required to remove all links to that site, even perfectly legal ones. If you do not then you are liable. Do you use content from YouTube, Flickr, Picasa or other picture and video sharing sites? Do you store your content on these? They break this law. They will be gone as we know them..
Do you promote your site on Facebook, Twitter, or Google+? They break this law. They will be gone as we know them..
Do you do research on Wikipedia or other user generated information sources like forums? They break this law. They will be gone as we know them..
Is your blogging platform hosted by a service such as Blogger, Tumblr, or WordPress? They break this law. They will be gone as we know them..
Do you promote your site on StumbleUpon, Reddit, or Digg? They break this law. They will be gone as we know them..
What about the OBN and other blogger networks? They break this law. They will be gone as we know them. These are not idle, alarmist fears. If the government follows this bill to the letter, it will happen. Reddit and Wikipedia are taking it so seriously they are shutting down their sites today in protest of the bill. The wording in SOPA would force all of these sites to censor themselves. If a user submits illegal content they would be required to remove it and all traces of the domain it came from. If they do not, their entire site could be brought down. This self-censorship is very expensive. From a business standpoint, it would make most of them unprofitable. Also, it is simply not possible. Any site that uses user generated content would be at risk. This is not even the worst. 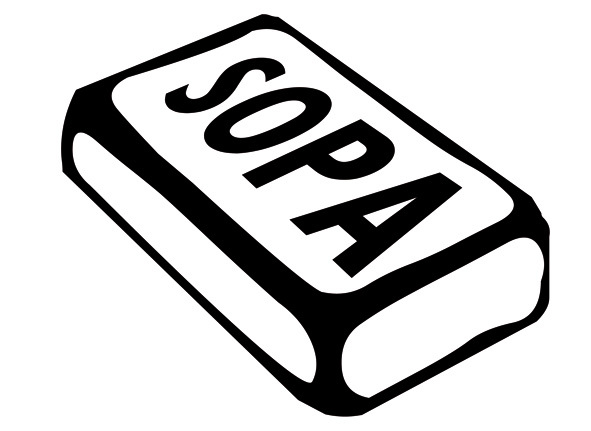 The way SOPA is written we will have to fundamentally change how DNS, the backbone of the Internet, works. With current technology, it will be a big step back with respect to security. Simply put, there will be no way for computers to determine whether the government blocks a site or a hacker blocks a site. This bill is fundamentally flawed. Please contact your congressmen and let them know that you oppose this bill. The easiest way to do this is here. Also, I think we should not re-elect any congressman who votes for this bill, republican or democrat.